You have to be severely demented to take a million-dollar hypercar and play “Tire Burn: The Ultimate Idiocy.” It’s a game where the driver of the hypercar does doughnuts, burnouts and a few slides as rubber smoke billows from the wheel wells. Of course, there's nothing more satisfying than proving you are the Master of a Veyron than laying down slabs of rubber from the hypercar’s super-expensive rubber, while the rubber smoke envelopes the vehicle. 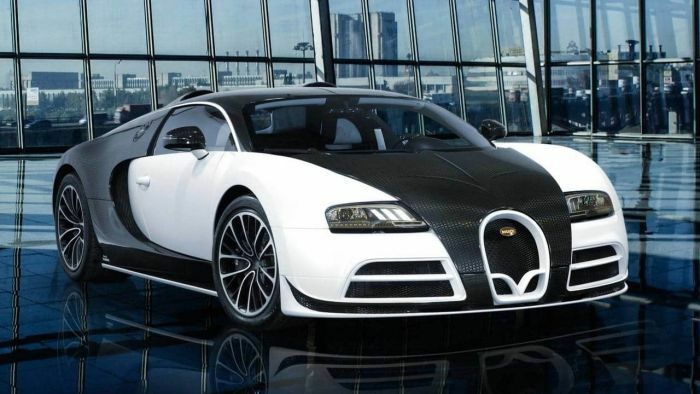 The group used a $2.3 million Mansory Vivere special edition Veyron. The hypercar can easily handle the task. Its 1,200-horsepower mill pushes the exotic to its record-breaking top end of 254.04 mph. The Veyron said Motor1, as it looked at the project, was Bugatti’s heavy-lifter. However, it was replaced this year by the Chiron. For this project, the team put the hypercar though some incredibly costly maneuvers. You see, each Veyron tire costs about $10,000 plus shipping. And, to be sure they had enough rubber to take care of the doughnuts, burnouts, and slides, they opted to have a complete set of wheels and tires around, just in case. The team spent about $150,000 for tires and wheels. And to think, they did it all just to see if it could be done, more or less.